Every No. 1, 2 and 3 seed advanced to the Sweet 16 for just the second time in NCAA tournament history. If after four long days of the NCAA tournament, your bracket looks like chalk, reads like chalk and has been all over your fingertips like chalk, then it's probably full of chalk. While the first two rounds haven’t watched like chalk (more on that in a second), your Sweet 16 includes all four No. 1s (North Carolina, Gonzaga, Virginia and Duke), all four No. 2s (Michigan State, Michigan, Kentucky and Tennessee), all four No. 3s (LSU, Texas Tech, Purdue and Houston), two four seeds (Virginia Tech and Florida State), and a five (Auburn). The closest thing to an underdog left is No. 12 Oregon, who only snuck into the field by winning the Pac-12 tournament and have morphed into The Team You Don’t Want To Play after nipping the last cool story, UC Irvine, in the bud. This is just the second time in tourney history (2009) that every No. 1, 2 and 3 seed survived until the second weekend—it’s more unusual than anything—and there’s not a small-conference team to be found (you don’t count anymore, Gonzaga). It’s been a great year to make indefensibly boring picks, although if history is an indicator, these results actually cut against the grain. The natural order of things, after all, suggests that when better teams advance deeper into the tournament, as the stakes get higher, we should be gifted with better-quality games. 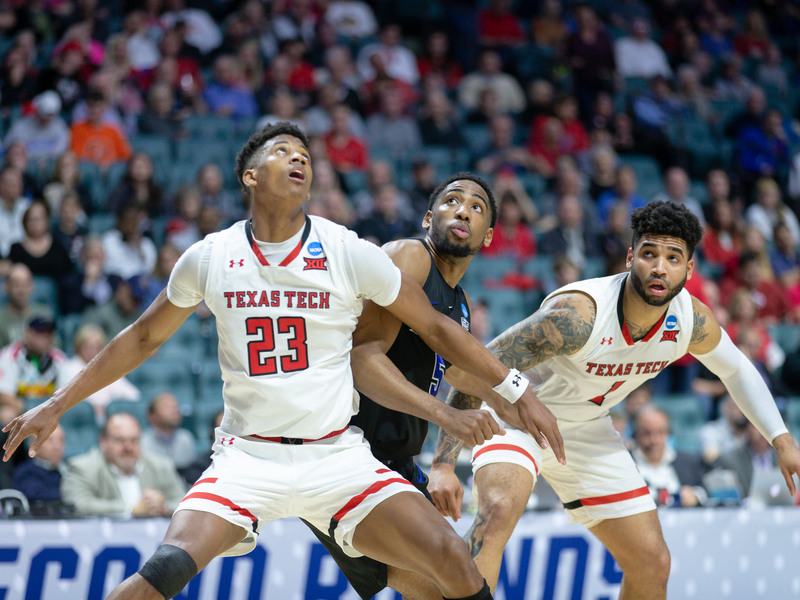 The strength of the remaining field should be conducive to competitive basketball, a welcome sight given just six of the first 48 tournament games have been decided by three points or less. There have been exciting games (the Auburn-New Mexico State finish comes to mind), and there have been great performances (Ja Morant, gone too soon), but we’re still grasping for shining moments. Based on the state of the bracket, that is where things might be headed. That’s not to say Sunday didn’t help. In the early game, Tennessee staved off a 25-point comeback from Iowa to hang on in overtime, after Admiral Schofield benched himself for the bigger Kyle Alexander (and Rick Barnes acquiesced) in a game that should never have been that close. Later, Duke and UCF produced an early-evening classic that nearly uprooted the entire chain of chalk results we've seen this tournament. This was inarguably the best finish of the tournament, coming all the way down to a final sequence that included the brilliant Zion Williamson finishing through and fouling out 7’6” Tacko Fall, then missing a game-tying free throw only to have R.J. Barrett put it back for the lead (replay later showed Duke may have fouled in the process). A potential winner from UCF’s B.J. Taylor bounced off the glass and out before being put back by Aubrey Dawkins, the coach’s son, whose 32-point showing was one of the weekend’s best. But the ball lingered just a little too long atop the rim and rolled off to cement a riveting 77–76 win for Duke. The crescendo was steep, the pace had been perfect, and it was hard not to get invested either way. This was a game we’ll talk about for a long time, and not just within the canon of Zion. • Gambling: Find the opening line for every Sweet 16 game before March Madness resumes on Thursday. SI's Jeremy Woo makes his picks for Day 1 of the Sweet 16 on Thursday. No. 4 Florida State over No. 1 Gonzaga: The Seminoles have the athletes, the size and the depth up front to effectively crowd Brandon Clarke, apply ball pressure and take away Gonzaga’s advantage in the paint, and Mfiondu Kabengele has quietly been a breakout star. No. 2 Michigan over No. 3 Texas Tech: The Wolverines are back in top form, steadied by the teeth-gnashing of Zavier Simpson and the enormity that is Jon Teske, and will win out with three-point shooting in a matchup of the nation’s two best defenses. No. 1 Virginia over No. 12 Oregon: While I would not personally want to face the Ducks, Virginia’s style of play is designed to slow down teams of their ilk, and the ‘Hoos have more left to prove than anyone in the field after last year. No. 2 Tennessee over No. 3 Purdue: After barely surviving Iowa’s last stand, the Vols refocus, clamp down on Carsen Edwards, and put together not one, but two winning halves of basketball.